We are located on the corner of 1st Avenue and Columbia St. Our discrete entrance is just around the corner from (and technically below) Fado Irish Pub. Becoming a member is easy and complementary. With 11 years experience in the salon industry, including 8 years at the prestigious Gene Juarez, Madison is a true expert. After building a dedicated clientele, Madison felt the entrepreneur call to build her own vision of the ideal salon experience. Madison is a hair design specialist. She is highly involved with the Seattle community, running the wig fitting department at the Seattle Cancer Care Alliance and is also an active member of the Post Alley Project. With 10 years experience and a masters in Redken from the Regency School of Minnesota, Andrea is a welcome addition to the Burnt District team. As busy as she is with keeping up with the latest in hair artistry, you can find Andrea mixing a mean cocktail at The Great Nabob on weekend nights. If she ever decides to take a break, you can find her Mexico where she lived for a year. 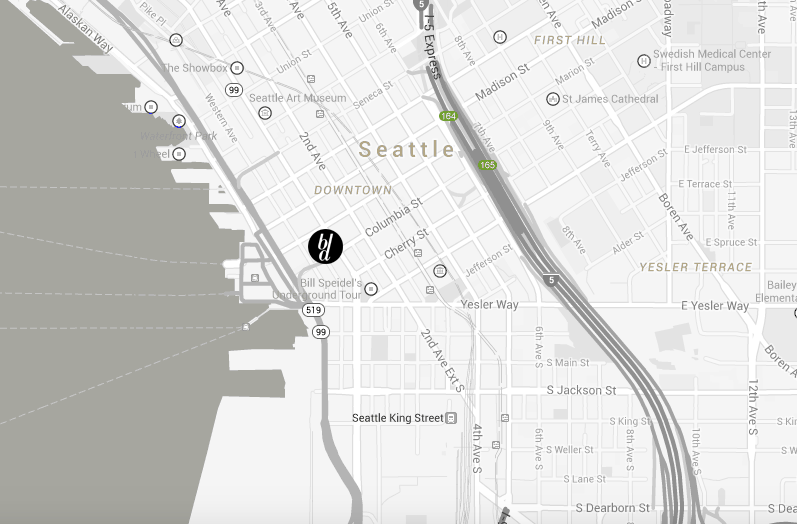 Andrew is a full-stack website develop working at Ply Interactive in Lower Queen Anne. Andrew broke ground on Burnt District with Madison and has been helping out ever since. In addition to website development, Andrew helps organize events and consults on customer experience. Copyright © 2019 Burnt District, All Rights Reserved.